Anti-collapse mesh attaches to the backend of your warehouse's pallet racking and shelving to provide your operatives protection against any falling objects. It's also great as fencing to warn and protect your teams against machinery or hazardous materials. Anti-collapse metal mesh offers flexible protection for a variety of ambient warehousing situations, including environments where an unrestricted, free flow of air is required, such as chill stores and freezers. Supplied with varying apertures to conform to health & safety regulations, anti-collapse mesh can be used upright at various depths to allow for pallet overhang. 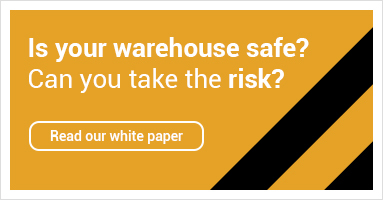 It's also suited to where there is a greater potential risk from automated handling equipment or fork-lift trucks, as well as being used to secure a zoned-off area to protect against hazardous items.